Driver training is extremely easy using DT’s Fleet Driver Training Plan and the fuel economy module alone should pay for the whole course in the first week! Your health and safety obligations: It helps cover your health and safety obligations to your drivers because vehicles are a place of work and you must identify and mitigate risks associated with this. Save fuel: awareness of what driving habits cause excessive fuel use is the first step in reducing unnecessary fuel usage. Just changing driving style can improve fuel consumption by 30% or more in some cases. Reduce fines: We forget important road rules from the Road Code over time and training refreshes those rules so that we don’t inadvertently drive outside the law and get a fine. Reset bad driver habits: We see other drivers doing dangerous things, it becomes normalised and we start using those methods by habit; training reminds us that that way of driving increases risk and helps break bad habits. Lower vehicle maintenance costs: Safer, more economical driving usually means less wear and tear on your vehicles leading to lower maintenance bills. Reduce lost opportunities: The impact of vehicle downtime can mean you miss delivery deadlines or important meetings, costing your business money. Foster a sense of excellence in your team: Aiming to have a zero-accidents fleet gives a sense of pride to your drivers. Explain and clarify your policies: Ensures all drivers know your expectations and policies around mobile phone use, drug and alcohol use and safe driving. Happier drivers: Awareness of what makes a good driver (which includes the driver’s attitude), plus how to use the vehicle in the most ergonomic way to reduce fatigue and pain, results in happier drivers who are less likely to suffer road rage. For just $19 per year per driver you can access all our premium training modules covering advanced driving, driver health and safety, fleet safety, licence endorsements, Road Code and vehicle technology. 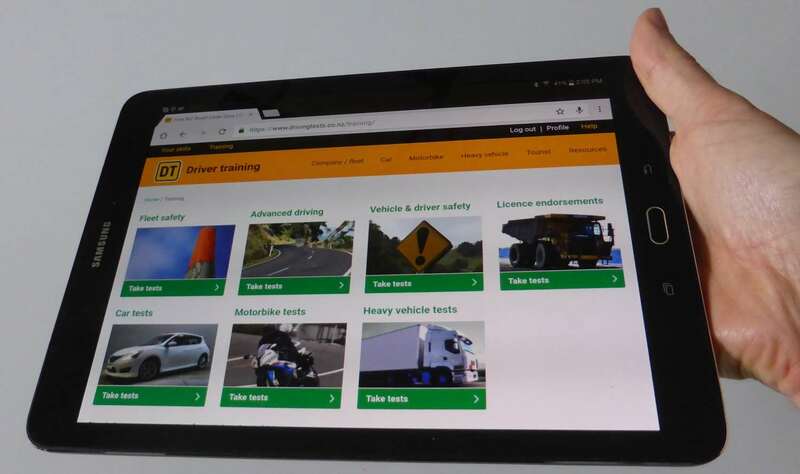 Broken into bite-sized learning objectives, all drivers will find it engaging and interesting to work through the training materials online in their own time, at their own pace and being able to repeat each module as many times as they need to ensure they know the material. Improve your drivers’ skills, reduce their risk of an accident and lower your fuel and maintenance costs by enrolling them in our Fleet Driver Training Plan. See if you qualify for a free trial.